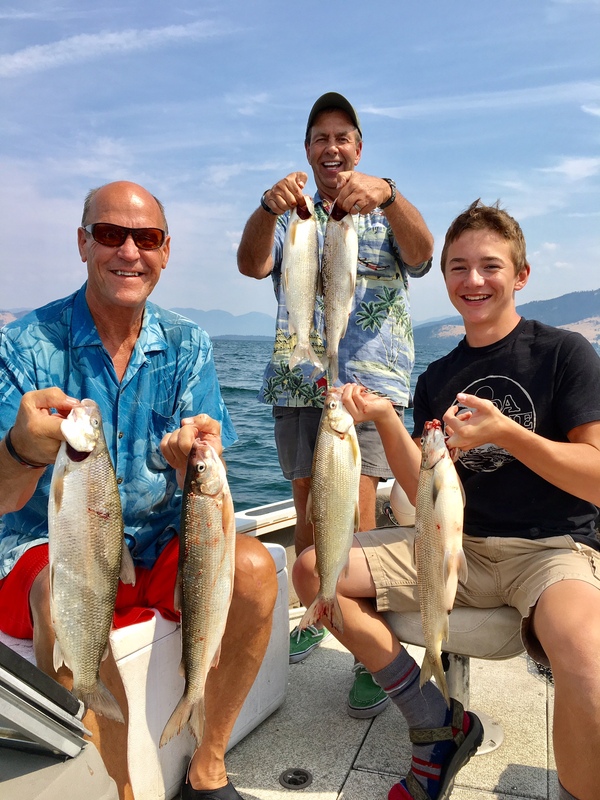 Fishing was slower than normal for the Captain and his crew on Monday which included (left to right) Ross Tate, Deadeye Denny and Shotgun Willie. They did manage to catch a few whitefish but they could only pick up a few at each place that they fished. The schools of whitefish never came in while they were fishing. One place that they fished was the Methodist Camp and it was just like all the other places, however Matt from Mo Fisch told us the bite cam on at about 3:30 there and went for an hour or so. 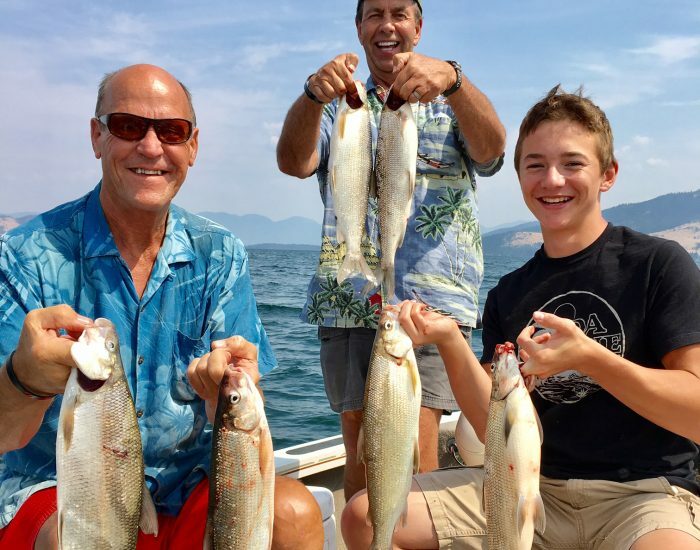 Everywhere they went, they tried fishing from 40-60 feet, and 50 feet produced the best.